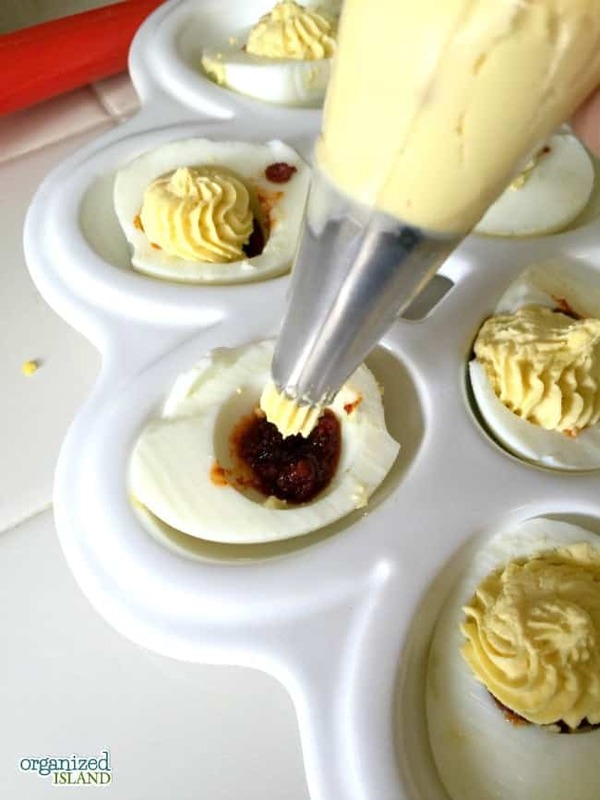 This Chorizo Deviled Eggs recipe is one of my favorite appetizers to make. While this weekend was not a weekend for football, next weekend is the big game that people will be watching, so I thought I would share this recipe in case anyone was looking for a fun and easy appetizer idea. I first had chorizo deviled eggs at a nearby restaurant in downtown Santa Ana. 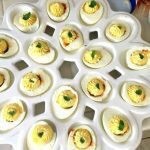 I am a big traditional deviled egg fan, and when I saw these on the menu, I had to try them. Once I tasted them, I loved the nod to chorizo and eggs in an appetizer and I knew I could easily recreate them at home. I was very happy with the result and the best part is that this recipe is not only easy, it is very quick to put together. 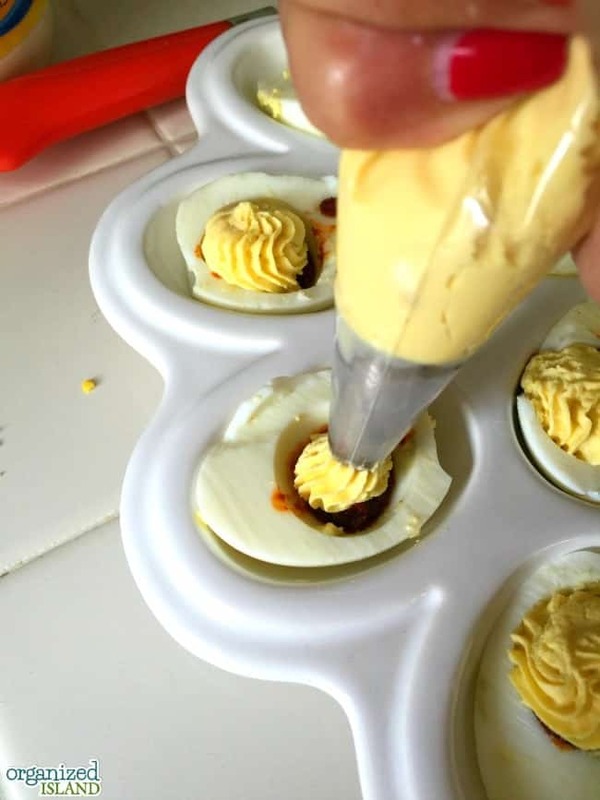 I like to use a frosting bag and decorator tip to fill my deviled eggs, but you do not have to as they still taste great. I like to start with a layer of beef chorizo. And then add the egg yolk mixture. The chorizo gives the eggs a nice flavor. I like to use beef chorizo, but you can also use pork chorizo. Next weekend we will be in our new home and while all of my kitchen items may not be unpacked, I can still make these easily. Chorizo and Egg Burritos – Delicious breakfast burritos that you can make ahead. Easy Bacon Quiche Recipe – A lovely breakfast or brunch idea. Cook chorizo over medium high heat 5-6 minutes until cooked. While chorizo is cooking, peel hard-boiled eggs and slice in half lengthwise. Dig out egg yolks with teaspoon and place in a small bow. Add mayonnaise, mustard and salt to mixture and combine thoroughly. Fill cooked egg whites with chorizo mixture using a teaspoon (or frosting tip). Top chorizo with egg yolk mixture. Sprinkle with chopped cilantro, if desired. I hope you enjoyed this simple, easy recipe idea! Are you going to be watching the game next weekend? Your piping is so beautiful! Mine always look like a big mess. 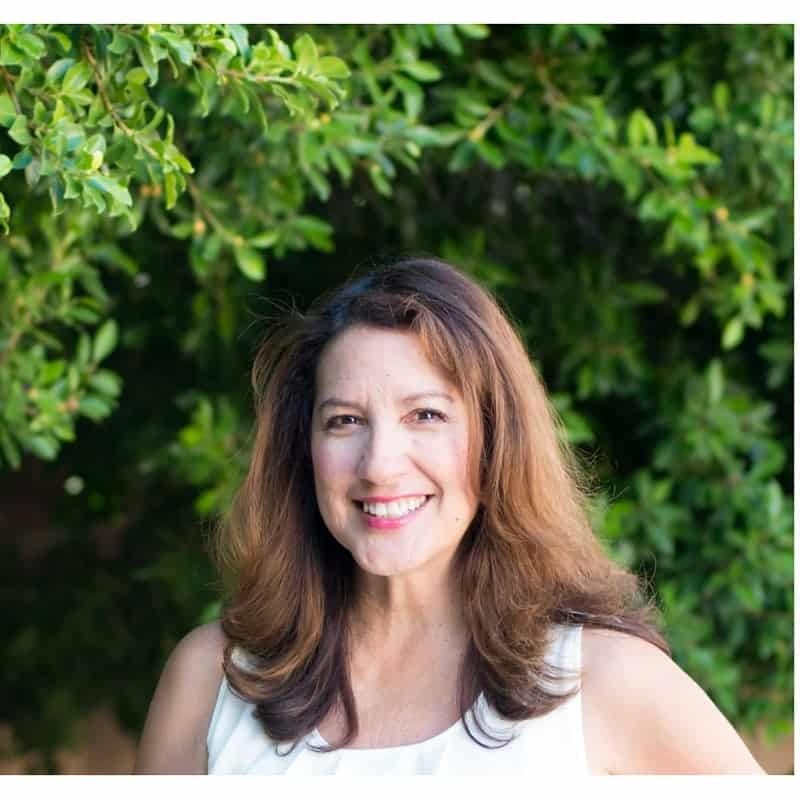 True story – I was on a winery tour years ago in Napa and thought it would be nice to buy something from the gift shop, but I don’t drink. So I bought a whole recipe book about deviled eggs. Delightful! Thanks so much! Ooooh! Oh nice! I love Napa gift shops! 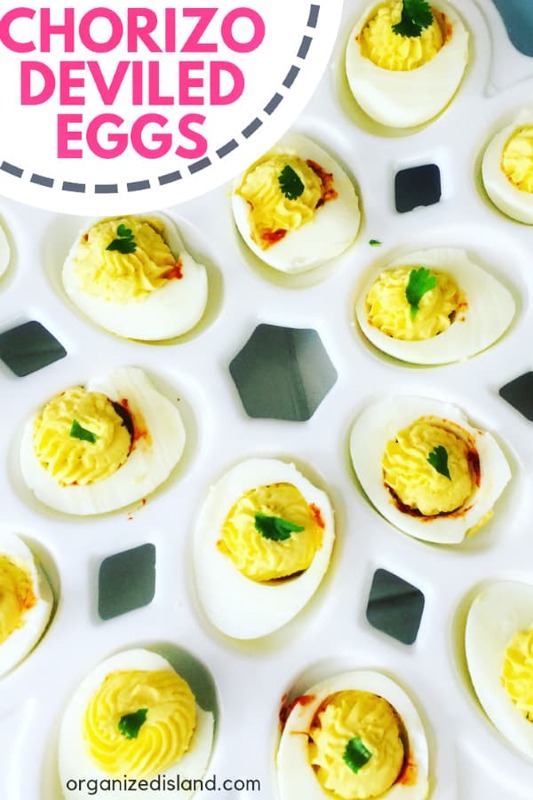 I’m not a fan of deviled eggs, but yours look so pretty! Oh wow that looks yummy!! 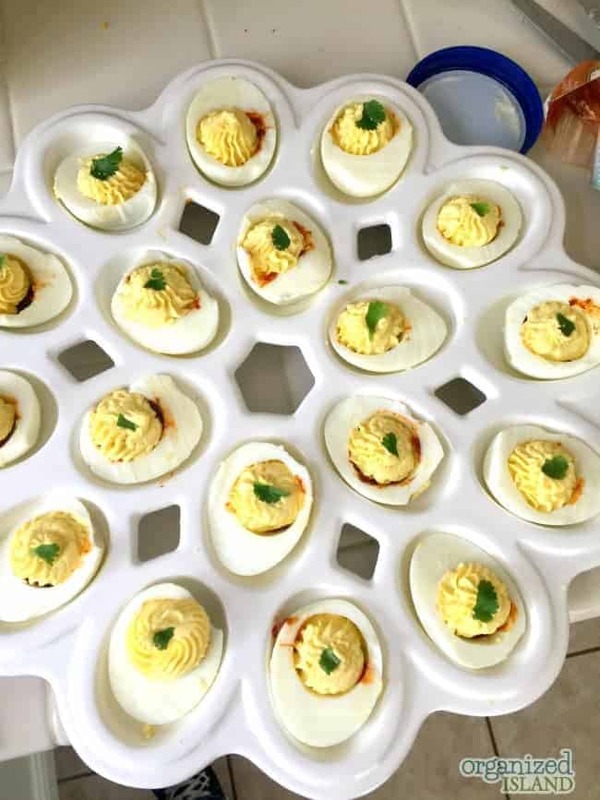 I like how the deviled eggs have a hidden surprise inside. What a cool idea!!! Thank you Sandy! They are always a big hit and so easy to make. 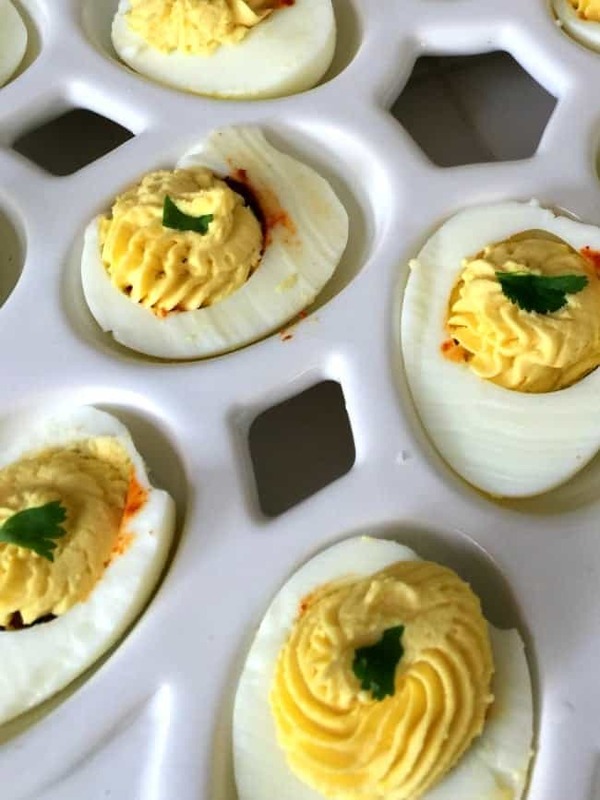 This looks like a good variation on deviled eggs! Pinning to try! Thanks for the pin Roseann! My sentiments exactly Donna. Thanks for visiting! I have only seen chorizo as a little sausage, yours looks like its a paste. I bet it is delicious. It is and it is really good Leanna! 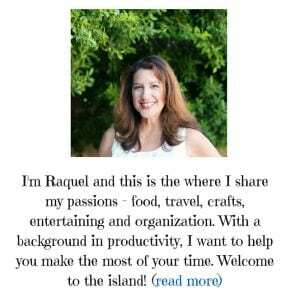 The presentation looks great, Raquel. It seems very easy to prepare, definitely trying this!